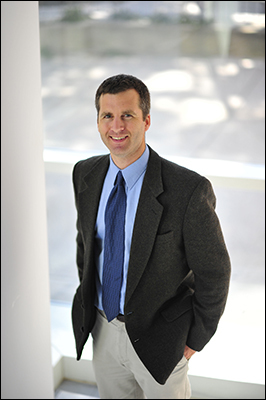 Department of Aerospace Engineering Professor Derek Paley has been selected to receive the 2014 E. Robert Kent Teaching Award for Junior Faculty. This award has been given since 1986 to junior Clark School faculty in recognition for excellence in teaching. Paley received the 2014 award for his outstanding record in teaching and mentoring, and for his major contributions to teaching aerospace engineers in both undergraduate and graduate curriculum through courses such as ENAE30, Dynamics of Aerospace Systems, and ENAE78, Advanced Dynamics of Aerospace Systems. In addition, Paley has championed research mentorship at all levels, including both undergraduate and graduate research. He has also demonstrated a unique ability to engage students through discussion, demonstrations and interactive analysis. This award is further acknowledgement of Paley's commitment to education and mentorship. Earlier this year, he received the A. James Clark School of Engineering's Willis H. Young Jr. Faculty Fellowship for outstanding contributions to aerospace engineering instruction and education at both the undergraduate and graduate levels. In addition, the Whitehouse recognized Paley with a 2012 Presidential Early Career Award for Scientists and Engineers (PECASE). This award is the highest honor bestowed by the United States Government on science and engineering professionals in the early stages of their independent research careers. Paley holds a joint appointment with the Institute for Systems Research (ISR) and is the founding director of the Collective Dynamics and Control Laboratory. He received his B.S. degree in Applied Physics from Yale University in 1997 and a Ph.D. degree in Mechanical and Aerospace Engineering from Princeton University in 2007. He has received the National Science Foundation CAREER award and is co-author of Engineering Dynamics: A Comprehensive Introduction. Paley is an Associate Fellow of American Institute of Aeronautics and Astronautics (AIAA) and a Senior Member of Institute of Electrical and Electronics Engineers (IEEE). The 2014 E. Robert Kent Teaching Award for Junior Faculty will be presented during the Clark School Winter Commencement exercises, Sunday, December 21, 2014. To learn more about Paley, visit his faculty webpage or the Collective Dynamics and Control Laboratory website.